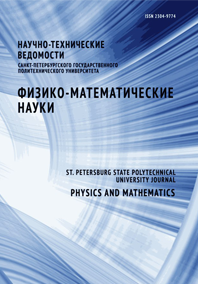 Mamaev Yuri A. Yashin Yuri P. Kuz’michev Vitaly V. Aulenbacher Kurt Riehn Erich Gerchikov Leonid G.
Transport of spin polarized electrons in semiconductor alingaas/algaas superlattices (sl) with strained quantum wells used for photoemitter application is studied. The experimental study is based on the time resolved measurements of electron emission from the cathode after its photoexcitation by fs laser pulse. We report the variation of the sl response time with the number of superlattice periods. We have also performed theoretical calculations of photocathode pulse response and compared the obtained results with experimental data. Our analysis testifies the presence of partial electron localization in sl. We demonstrate that electron localization suppresses electronic transport and strongly limits the cathode quantum efficiency.